Children with various blood disorders and cancers are undergoing a bone marrow transplant for a cure. They often get good results with this procedure. But undergoing Bone marrow Transplant is like running a marathon. It requires a long period of follow up (6months to 1 year) with weekly investigations costing RS. 4000 to RS. 12000. It is definitely better than a kidney or liver transplant which will require drugs for many years. Child Jessy is 6 years old and has thalassemia major. Due to this blood disorder she was requiring monthly blood transfusion since 6 months of age. She has received at least 80 blood transfusions till date. In August 2016 She underwent a successful bone marrow transplantation. Her 2.5 years old fully matched brother was her donor. Now in the last 3 months she has not required any transfusion. It is a great happiness to the family but she still requires tests which will cost 50000 per month, transplant drugs which will cost 20000 per month and drugs for intermittent infections which will cost around a lakh to 2 lakhs. She is being treated in a subsidised cost setting with no money being paid to the doctor or for the hospital stay. Happy parents are sad at the end of the day as they are not able to meet this expenditure. Father is a daily labourer from the interior of tamil natural and has not gone for a job in last 3 months. If we pool some money - this will help her tide over her last lap of the marathon. She has a 80% success rate and already she is transfusion free! Let us work together to make her dream come true -TRANSFUSION FREE LIFE. 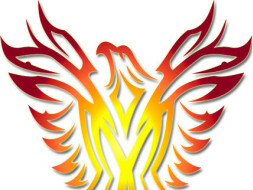 Bone marrow Transplant is like rebirth - destruction & rebirth within one selves -similar to the Phoenix! Let us support this rebirth!